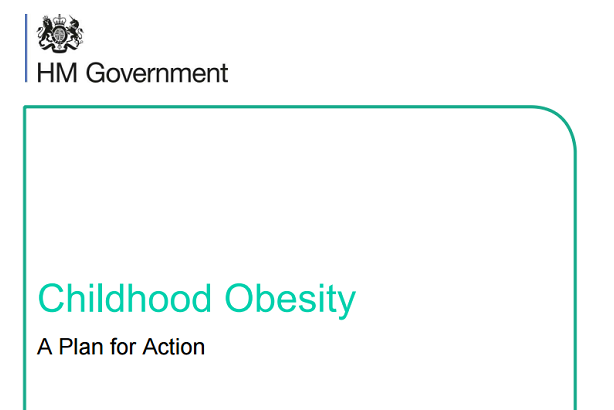 The Government's much-awaited childhood obesity strategy was published this morning, but did not include any restrictions on advertising and promoting certain foods, as had been hoped and expected by some. Childhood Obesity; A Plan for Action contains a number of measures. These include a soft drinks industry levy, providing healthy food vouchers to low-income families, improving school sport, and supporting digital information programmes, with Public Health England's Sugar Smart app cited as a successful example of the latter. The strategy concludes by saying that the Government was "confident that our approach will reduce childhood obesity while respecting consumer choice, economic realities and, ultimately, our need to eat". It has attracted criticism in many quarters, and is seen as having been "watered down" from initial expectations. However, there was no crackdown on advertising and promotion – a move welcomed by Advertising Association chief executive Tim Lefroy, who told PRWeek's sister title Campaign: "Advertising has already taken action to end high fat, sugar and salt ads in children's media, whether on TV, online or elsewhere." Rikki Jones, director of the London office of WPP-owned healthcare PR firm GCI Health, told PRWeek: "Advertising and promotion not ultimately having a place in the strategy has attracted a lot of criticism." She went on to say that this left the commercial food industry witn an opportunity to "demonstrate stronger social responsibility than ever before". She added: "The door has been left open for them to educate children and families on their choices and there’s still a significant gap to be filled in doing so. For forward-thinking organisations, there is a real leadership prospect for the taking."